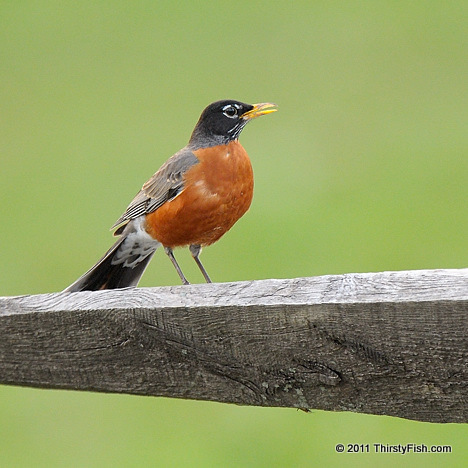 The American Robin is a widely distributed North American songbird. The Robin is considered a symbol of spring. "When the Red, Red Robin (Comes Bob, Bob, Bobbin' Along)" is a 1926 song written by songwriter Harry M. Woods. It has been covered by numerous artists over the years. My favorite versions of this song are by Louis Armstrong and Doris Day. The color on the swatch you see below is known as Robin Egg Blue and it approximates the shade of the eggs laid by the American Robin. It is also an official Crayola color.